Owing to our years of industry experience and precise knowledge of this domain, we are offering an outstanding assortment of Stefan Boltzmann Apparatus. We are engaged in the manufacturing, trading and exporting of premium quality Stefan Boltzman Apparatus. Our reputation in the market is largely attributable to our precision-designed Stefan Boltzmann Apparatus. Bench Area: 1m. x 05m. Water Tank: Stainless Steel 12 Ltrs. Cap. Stefan Boltzmans Apparatus and Training System, technical teaching equipment for engineering. 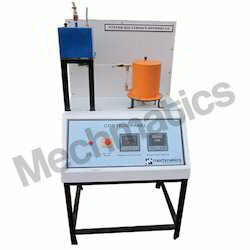 - The apparatus is designed to determine the Stefan Boltzman constant. - The apparatus consists of a hemisphere fixed to a Bakelite plate, the outer surface of which forms the jacket to heat it. 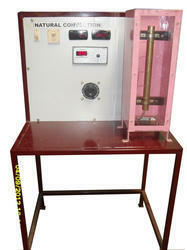 This apparatus is designed to determine Stefan Boltzmann constant. The study of effect of hemisphere temperature on the constant.